I was going through a desk drawer the other day and ran across this drawing I did back in high school. I had recently gotten a bunch of old ’70s car brochures from a friend of my dad’s and made some copies of the ’75 Cadillac catalog. I carefully cut out one of the Xeroxes and transformed it into the yacht you see here. 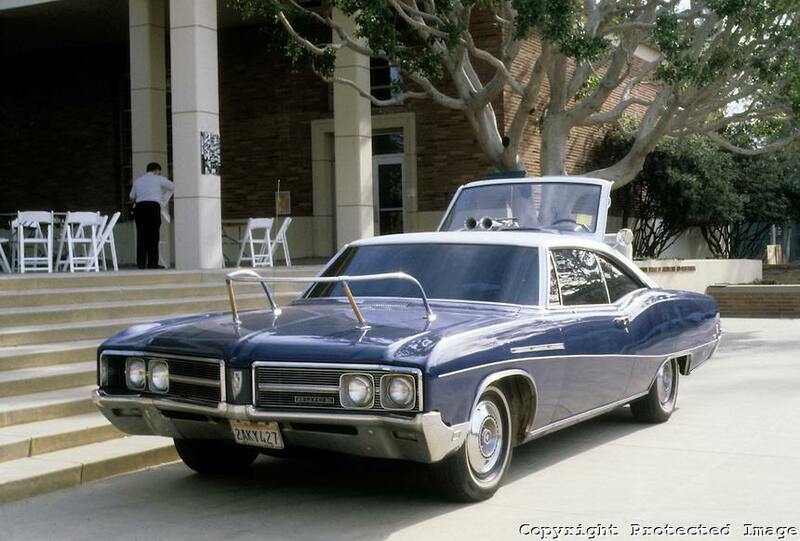 Hey, it was already a land yacht! 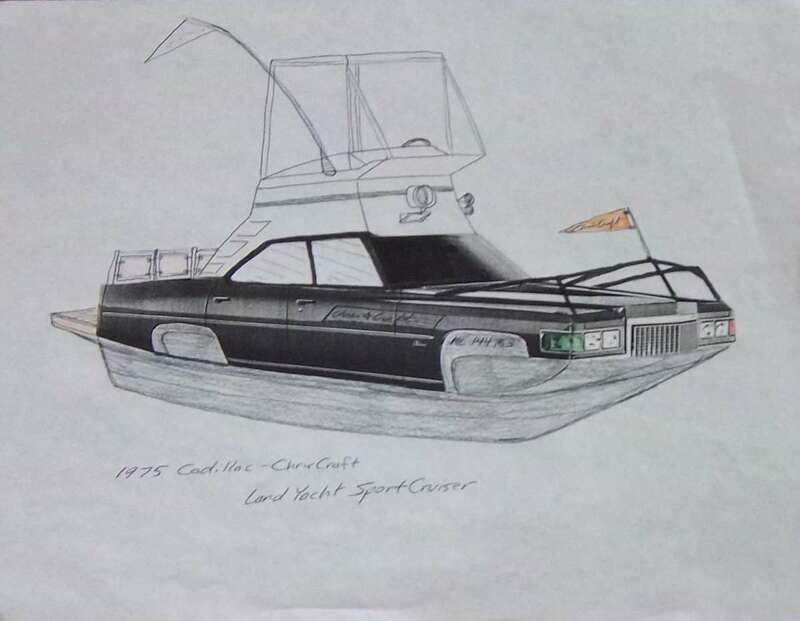 As you might have guessed, it was inspired by the 38-foot ’67 Chris-Craft Dad had at the time. 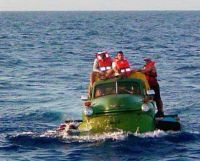 So there you have it: the Brougham-nana Boat. It certainly handled like one on the road, maybe not as bad as a friends MB 280C though! That was the first thing I thought of. But I had less luck than yourself in finding a pic. I distinctly remember the Road & Track article on this in the summer of ’87. That was at the peak of my magazine consumption, when I got MT, C&D and R&T. A bit more hull area might not hurt those suckers are heavy. Handling would be uneffected like this? I’m reminded of the two Top Gear segments, where they were tasked with converting cars to amphibious vehicles. 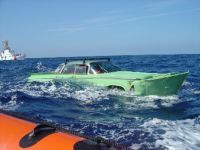 James May made a sailboat out of a Triumph Herald, Jeremy Clarkson bolted an outboard on the back of a Toyota pickup, and Hammond created a sort of canalboat houseboat by fabricating a hull around the bottom of a VW Westphalia camper. I’ve always thought Hammonds idea had some practical merit, assuming it got enough design and development time to deal with the weight and cooling issues it had. 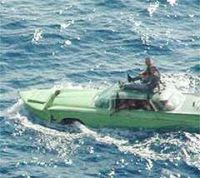 A campervan Amphicar. Should have used a wasserboxer! 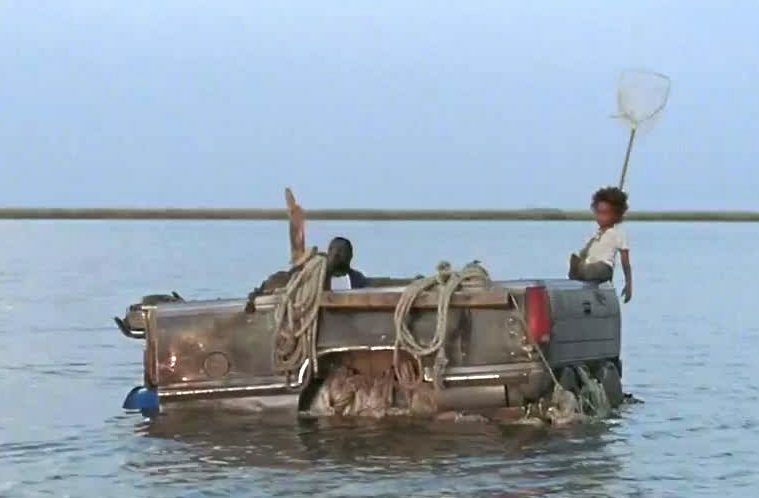 At the other extreme, in the wonderful movie “Beasts of the Southern Wild”, now up for Best Picture, Actress, Director and Screenplay, Hushpuppy and her dad have a pontoon boat made from a pickup bed and oil drums. 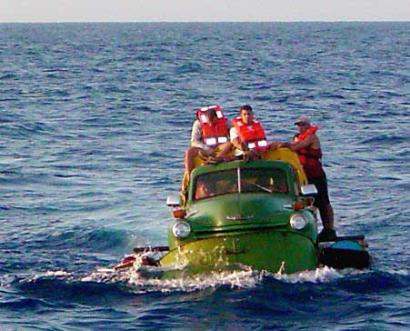 Cuban refugees already did it. 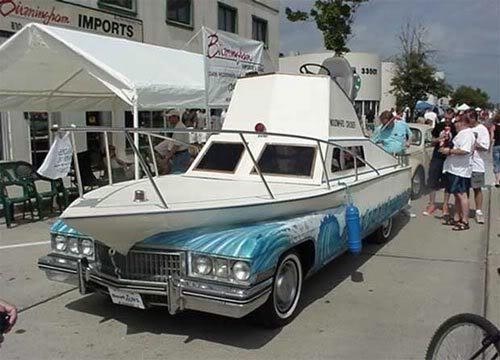 It was originally called “Nauti-mobile” and that’s what I used for my search. Thanks. I totally fell in love with that when I first saw it. Even has “portholes”. That’s a brilliant concept and a wonderful drawing at that. As I was stationed on the Mississipi River for several years in the USCG, I knew your neck of the river well. This concept would have worked great on the Mighty Upper Miss. 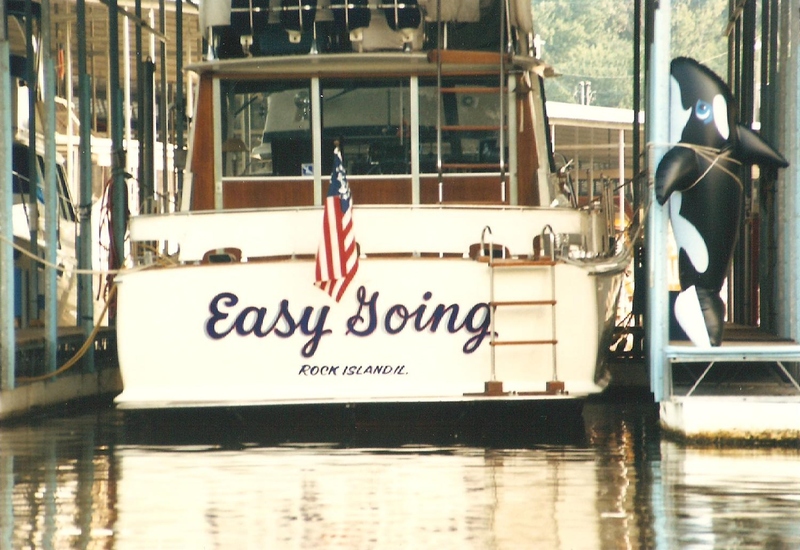 A sunset cruise to LeClair or Princeton and back on a warm summer eve…. Or perhaps an extended weekend and autumn cruise down to Keokuk, Quincy and Hannibal…..
You should revisit this drawing and flesh it out further with interior drawings including the berth and galley arrangements. Perhaps a model of the concept in 1:24 scale if the Caddy can still be found in plastic. I simply love it! 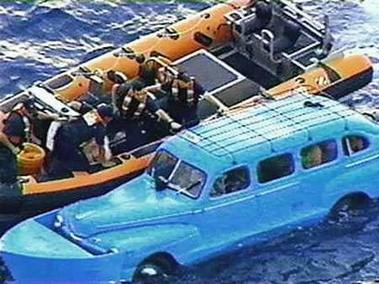 Looks like it has pretty much been done, on land at least; I believe the donor car for this is a ’73 Caddy.